It is our desire to treat patients, as we ourselves would like to be treated. Our care is devoted to patient respect with personalized attention in a gentle caring manner. Our office hours are scheduled so that patients are seen in a timely fashion. Patient education by both conversation with the physician and by the availability of printed educational material is available. As needed, additional services such as strss relief therapy, massage, electric muscle stimulation, nutritional counseling, are also available at the clinic. We make every effort to be a "caring" practice that provides a very personal approach. Office hours are held Monday through Friday. In order to provide the best care in our practice it is best to make an appointment....and same day appointments are available. If you have had x-rays we ask that you bring them with you on your first visit. Please discuss this with the doctor when making your first appointment. If you need x-rays done we will recommend a local diagnostic center for you. Fees for services are determined by the nature of the service and the special expertise offered in our chiropractic practice that is devoted to individualized care. These fees may not coincide with your insurance company's terms of "usual and customary" and you are encouraged to contact your insurance company prior to utilizing our services to learn of your benefits. 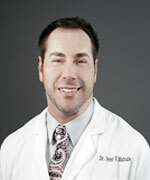 Fort Lauderdale Chiropractor care in a gentle caring manner! Click here if you would like to review the HIPAA Patient Privacy Practices. Located at the Galleria Mall in the Regus Office Complex.